What do you do when the economy you find yourself in fails to provide opportunities to earn a livelihood? The answer for many Thousand Currents partners is clear: create a system that does work. The Ubunye Foundation is a community-based organization in South Africa that did just that. Initially formed to serve the villages on the outskirts of a private game reserve, Ubunye fights the conditions that have led to impoverishment with programs for healthcare, food security, and income generation. Privately owned reserves are often developed for tourism projects that completely ignore the local communities. The women of Ubunye decided to build a “Pro-Poor” Tourism Center that would nurture their economic opportunities, cultural traditions, and community development. It contains a health clinic, gym, pre-school, and meeting room, in addition to generating revenue from visitors and its craft market. The success of this innovative model of economic development depends in large part on Ubunye’s Self-Help Groups, where women come together to support each other in planning, saving for, and managing both income-generating projects and community development initiatives. 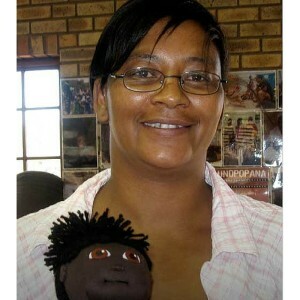 Jennifer Clack first joined Unbunye through their doll-making cooperative, one of more than 40 self-help groups the foundation has helped establish. Formerly unemployed, Jennifer was a founding member of the collective that makes Unopopana Dolls, which are wildly popular with tourists and the local community. 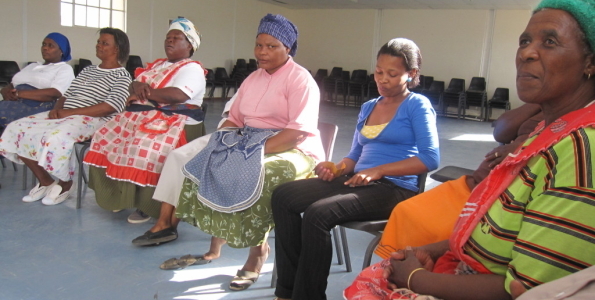 The self-help groups meet weekly and collect member contributions, which are then funneled into a savings pool. As the savings pool increases, the group is able to provide loans to fellow members. The weekly meetings also serve as a powerful support system that nurtures trust among members. Once enough money has been generated it is used as seed money to establish income-generating projects that often transform into fully fledged businesses. To date, more than 500 unemployed people, mostly women like Jennifer, have worked with Ubunye’s income-generating projects including those in doll-making, weaving, beading, soap-making, and bee-keeping. After the first year, Jennifer says Ubunye “recognized the leadership in me.” She joined the Ubunye’s leadership program as well as the village steering committee that planned the Pro-Poor Tourism Center. Later, she was appointed as coordinator of the craft group. IDEX Partners Angus Gillis and Biowatch in the News!